RENTON, Wash. – The WIAA, Dairy Farmers of Washington, and Les Schwab Tires announced Tanner Perry of Snohomish High School and Kendall Todd of Odessa High School as the recipients of the first annual Smart Choices Scholarship. The winners receive a $5,000 scholarship to the school of their choice. Perry will be enrolling at Pacific Lutheran University where he plans to pursue a career in special education, while Todd has been accepted into the honors program at Whitworth University where she plans to work as a student athletic trainer and pursue a career in physical therapy. Perry garnered numerous athletic accolades as a three-sport athlete at Snohomish High School. A two-year letter-winner as a golfer, Perry was named first team all conference as a junior. As a wrestler, Perry culminated a four-year varsity career by being named team captain as a senior and earning an eighth place finish at the 2013 Mat Classic. A three-year letter-winner for the Panthers’ football team, he was voted the “Team Defensive MVP” as a senior captain and was also second team all conference. 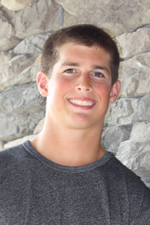 In addition to his athletic achievements, Perry was a four-year ASB Class Senator, a member of Link Crew, Panther Pal, National Honor Society, and the Random Acts of Kindness Club. A two-time 4A State Academic Wrestling Champion, Perry has completed AP courses at Snohomish and has already earned 50 college credits. Todd not only played three sports for the Odessa Titans, but also participated in drama and music. In volleyball, Todd was named “Best Hitter,” “Most Inspirational,” and was the team captain during her junior and senior seasons. A WIAA/Seattle Times Athlete of the Week honoree, Todd led her team to the Volleyball State Tournament with 52 kills and 11 blocks during district qualifying. She was also a two-time team captain for the Titans’ basketball team. Off the court, Todd placed in numerous FBLA events and also had strong showings in Knowledge Bowl and FFA competitions. She held leadership positions for Odessa’s Pep Club and as a class officer. As a senior, Todd is the current ASB President as well as the National Honor Society President. 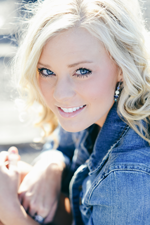 She has also spent her senior year serving as Miss Odessa. The inaugural scholarship was created by the three entities to recognize two high school students who showed excellence in athletics, activities, academics, leadership and community service throughout their high school careers. “Les Schwab Tire Centers are very proud of our relationship with the Washington Interscholastic Activities Association and the Dairy Farmers of Washington,” said Andy Sherry, Northwest Regional Manager. “We believe strongly in doing the right thing in our communities and are happy to help offer these scholarships for these two outstanding students." The two winners will be awarded their scholarships at the WIAA Hall of Fame Luncheon, May 8 at the Renton Pavilion Center. Tickets for the event are on sale and can be purchased through the WIAA website.